DAVID LE/Staff photo. 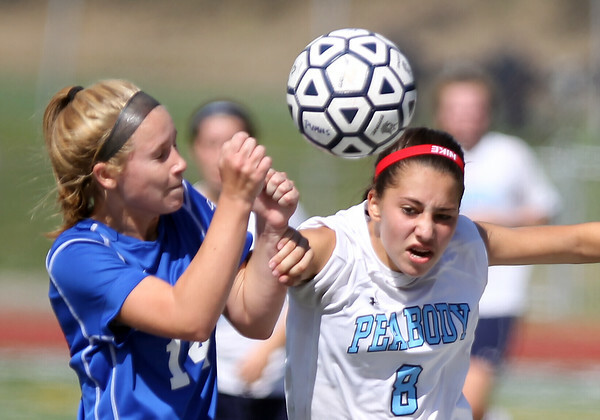 Peabody's Marissa Orlando (8) collides with Danvers junior Morgan Mscisz (14) while battling for a 50/50 ball. 9/19/15.